By Vince Guaraldi. Arranged by David Kolinski-Schultz. Score, Set of Parts. 17 pages. Published by PDQ Music (H0.272347-138880). Words by Lee Mendelson, Music by Vince Guaraldi. Arrangedfor Brass Quintet by David Kolinski-Schultz. Score, Set of Parts. 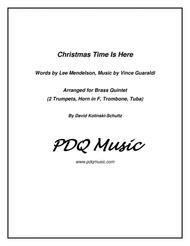 17 pages.Published by PDQ Music. A charming and yet poignant song by Vince Guaraldi from thebeloved "A Charlie Brown Christmas". 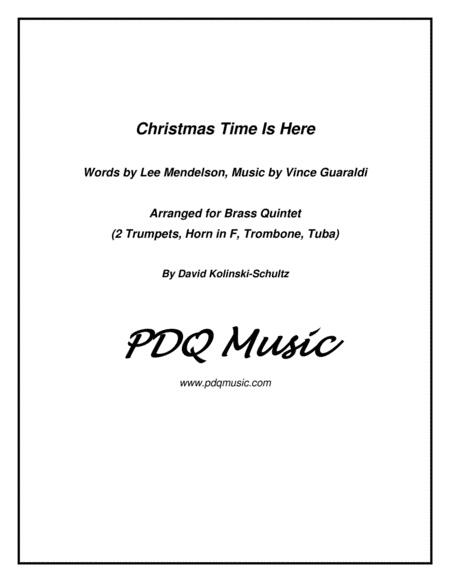 Easily recognizable byaudiences, this arrangement for Brass Quintet attempts to capture Guaraldi'srich harmonies to also make it enjoyable for musicians. Great for Christmas parties and concerts! Appropriate for advanced students, community ensembles, aswell as professionals.